That may not be a direct quote, but you get the drift. So there you go. Cedar Smoked Old Fashioned, Burnt Cinnamon Manhattan, Lapsang Smoked Caipirinha, and much more. If you’re scared, um….knock it off. 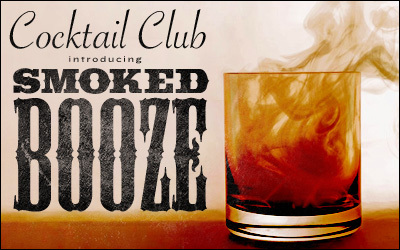 Remember, you like smoke in food, why not in your booze? Thursday night, 6-ish until J and/or A drop a smoking ember into a puddle of booze and burn the bar flat. P.S. If you don’t like smoke in your food, then I’m super sorry. You’ll still like these drinks, though. You are currently browsing the Feedblog blog archives for the day Thursday, November 6th, 2014.